BSF recruitment: The last date for submission of application is October 1. BSF recruitment: The Border Security Force (BSF) has released a notification, inviting applications for the posts of Junior Engineer/ Sub-Inspector (electrical) group B, non gazetted, non ministerial. The last date for submission of application is October 1. The selection will be done on the basis of a written test, followed by documentation, physical standards test, practical test and medical examination. The post is temporary but likely to be permanent. Educational qualification: The aspirants should have passed three years of diploma in electrical engineering from an institute recognised by the central government or state government. Age limit: The age of the aspirants should not exceed 30 years. Relaxation in age will be provided as per the norms. The selected candidates will get a monthly salary of Rs 35,400 to Rs 112,400. Written examination: It will have two papers. Paper 1 will have three sections, namely — General intelligence and training, general awareness and general engineering (electrical). It will be of total 100 marks. Conventional type: Questions will be framed on general engineering (electrical). A total of 10 questions will be asked of 100 marks. A demand draft/ postal order for Rs 200 has to be sent along with the application. 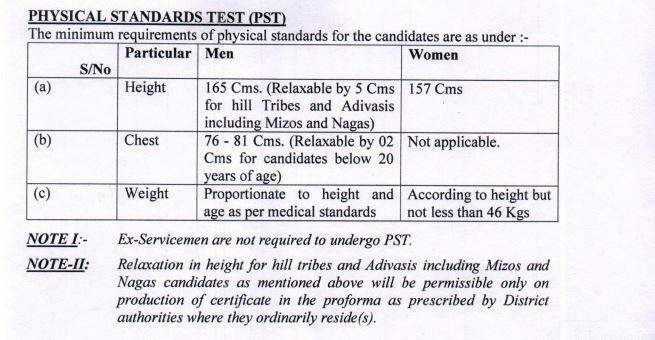 Female candidates and those belonging to SC/ ST/ BSF candidates/ ex-serviceman are exempted from paying the fee.